As a North American subsidiary, we also promote the worldwide trade shows of NürnbergMesse GmbH. Take advantage of our network; we’re here to assist you with your preparations to exhibit or attend any of our international shows. Show Management – NürnbergMesse North America, Inc.
With 552 exhibitors and 9,552 overall participants (2012: 427/7,500), 2016’s fifth edition of the biennial show and conference was the highlight of the US paint and coatings industry. Exhibitors and visitors alike see the American Coatings SHOW as the leading North American industry show and conference for the paint and coatings industry. Pavilions serve as an incubator for new-to-market products or services and for companies seeking to broaden their horizons internationally. 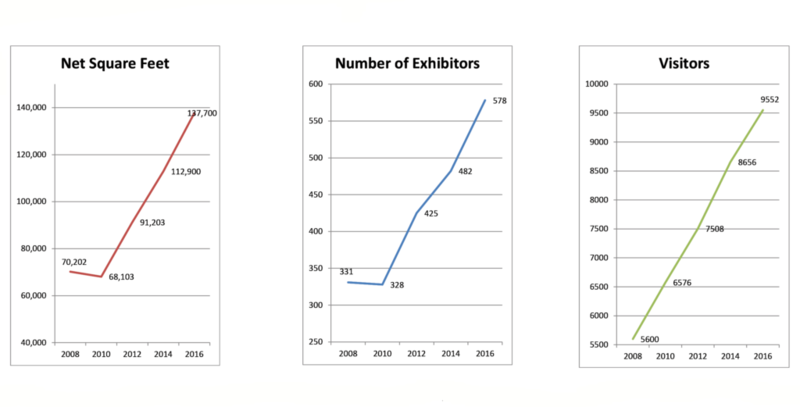 Participation in a pavilion provides greater visibility, an identity with a larger group and a sense of community that allows exhibitors to prepare their market entry, learn about the market, experiment and concentrate on selling. BIOFACH is the world’s largest strictly organic trade fair. 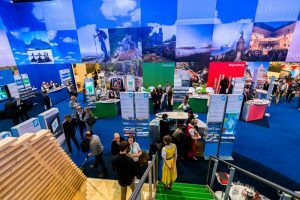 Our 2015 event featured 2,141 exhibitors and over 44,000 trade buyers from 130 countries, including over 1,000 media representatives from 36 countries. www.foodexport.org (Northeast & Midwest U.S.), www.wusata.org (Western U.S.) and www.susta.org (Southern U.S.); program eligibility rules apply. All products on display must meet the organic requirements outlined by BIOFACH show management. In addition, all firms exhibiting in the USA Pavilion at a USDA endorsed show must promote and display a majority of products – greater than 51% by SKU count – that are of U.S. origin. A product is determined to be of U.S. origin if is comprised of at least 51% U.S. origin content, by volume or by value, exclusive of added water. In addition all exhibitors have to meet the BIOFACH admission criteria set by the organizers. Chillventa, held biennially in Nürnberg, Germany, is one of the most important events in the world for refrigeration, ac & ventilation and heat pumps. Held on even years, the next show will be October 16–18, 2018. Exhibiting in the USA Pavilion provides greater visibility on the show floor along with the convenience of a turnkey booth package. Chillventa 2014 featured 2,141 exhibitors and over 30,000 trade buyers from 110 countries. The team at NürnbergMesse North America also promotes the trade shows of NürnbergMesse worldwide. We’re here to assist you with your preparations to exhibit or attend any of the international shows in our network so you can grow your business. Contact our office in Atlanta for more information and join us on our global journey.